The Harnett County Library system is comprised of the County Library located in Lillington, a branch library located in the Anderson Creek Primary School media center and the Boone Trail Community Center, and municipal libraries located in Angier, Coats, Dunn, and Erwin. The library system is a member of NC Cardinal, a growing consortium of North Carolina public libraries with the goal of sharing resources and expanding opportunities through the use of a single online catalog. 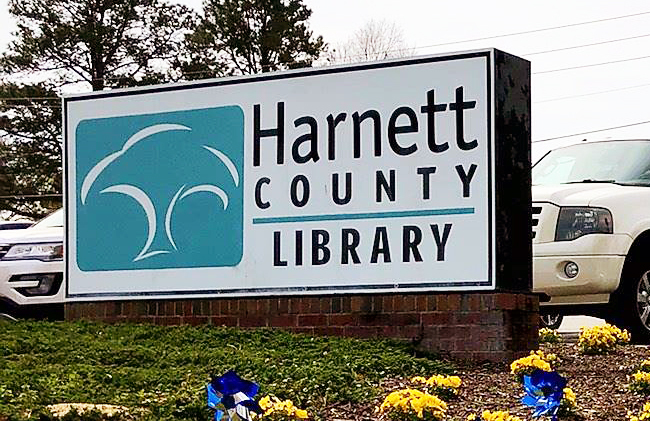 While the Harnett County Public Library system has a collection of more than 203,598 volumes, library patrons have easy access to more than 6,500,000 volumes through the consortium.